Soda pop is one of the most favorite and popular drinks among people all around the world, especially children. 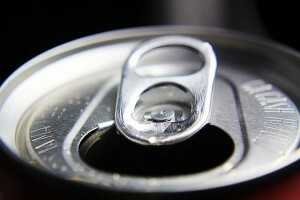 But too much of intake of this soda pop can increase the acid level in the body. Due to which many problems can be seen. Most of the researches have shown that having too much of soda pops like soft drinks can cause many more health problems. These are weakened bones, caffeine dependency, obesity and tooth decay. It is very important to keep your body alkaline and remain healthy. How Can Acid State Cause Harm? The acid state of the body which is caused due to heavy intake of soda pops can cause a lot of health problems. One such problem is bone loss. The soda pops contain Phosphorus as an additive in it. This is the main reason for weakening of bones and bone loss. Phosphorus which is present in the soft drinks is quite dangerous for the calcium. Gradually, the calcium decreases and it makes the bone porous. Thus, bones get weaker. The worst part is many soda pop companies add this Phosphoric acid in a large amount which can be dangerous. Soda pops can cause gastrointestinal distress due to the increased level of the acid. It causes severe inflammation and erosion of stomach lining. These are really fatal for your health and can cause a lot of problem. These sodas have a lot of chemical acids included in it as additive that disturbs the acid-alkaline balance of the human body. Especially, if you drink soda in empty stomach it can be highly dangerous for you. That is why it is always better to stay away from soda pops. Why It Is Important To Keep Body Alkaline? It helps to boost the energy level dramatically. So, it is very important to have an alkaline-based diet daily. When the pH level of your body is perfect, it helps your body to function properly at its optimal level. A proper alkaline state in your body can actually have a great impact on the aging process by slowing it down. It helps to reduce the risk of cancer. Research has shown that a person who maintains a strict diet has better immunity power. It also helps in reducing weight and keeps off those extra fats and pounds away from you. Thus, these are the main reasons why you should avoid drinking soda pops and start living a healthy life with a balance pH level. It contains a lot of acid which can increase the acid level of your body causing a lot of harm. Maintain a strict diet to stay alkaline. This will help you a lot to stay healthy and fit for ages. You will forget things like depression, poor moon, cardiovascular activities etc. Your immunity system will actually get better with the help of this diet. One way to keep your body alkaline is to drink Alkaline water. 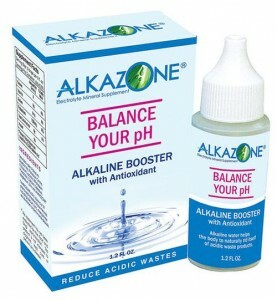 Alkaline Drops would ensure that the water you are drinking is not too acidic.